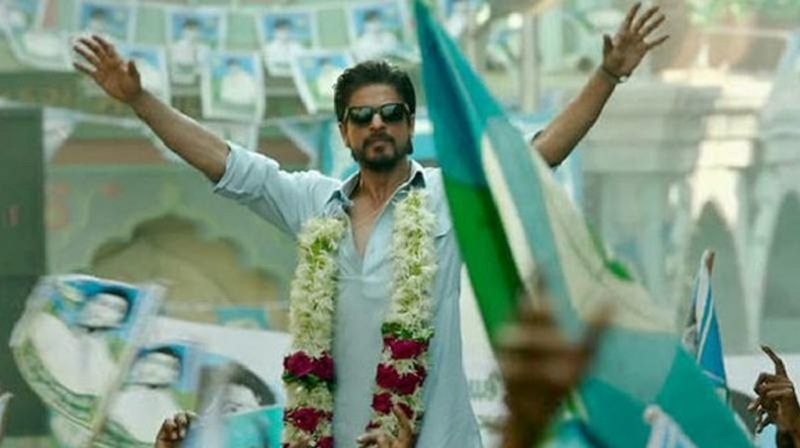 The Raees trailer was released with great fanfare across multiple Indian cities on Wednesday, 7 December. Apart from the trailer itself — which has definitely quickened fans’ anticipation for Raees — what also grabbed a lot of attention was the release date mentioned at the end: 25 January 2017. The Raees-Kaabil clash has been talked about for quite some time; both films were expected to release on Republic Day 2017. However, just a few days before the Raees trailer was released, Rakesh Roshan and Hrithik Roshan unveiled a new plan for Kaabil, along with its new poster reveal. To cash in on the Republic Day public holiday, they decided that Kaabil would be in theatres on 25 January, starting with a 6 pm show, to cash in on the public holiday the very next day. Raees’ trailer has made evident that the SRK film too will come to theatres on exactly the same day. The move is being considered a direct salvo at the Roshans, whose home production Kaabil is. While it is tempting to think of Raees’ new release date as a counter-move to Kaabil’s theatrical release being moved ahead by a day, Shah Rukh Khan says otherwise. For the Roshans, the Raees release date must have come as a blow — by moving their own theatrical release ahead by a day (or rather by an evening), they must have thought to get a headstart on collections and audience buzz. Raees’ 25 January shocker seems to have made Rakesh Roshan quite unhappy. He was quoted as saying: "Whatever dates we are taking, they are following us. I would have never done the same. I belong to an old school of filmmaking and I have given 50 years of my life to the industry. I would never release my film on a day when another filmmaker has already announced their film. I decided to move Krrish 4 also from the Christmas 2018 slot because I saw Shah Rukh Khan's film [the Aanand L Rai directed project in which the superstar is playing a dwarf] is coming that day. I could have easily released my film with Befikre or even with Dangal if I had to clash. But when I announced the film in February (2016), I saw a clean window in January (2017) and hence I picked the date. I can't get into this new groove of things because I don't understand it." However, Raees has had a long delay leading up to its release — this was a film that was meant to be in theatres by August 2016. The only reason it didn’t, was because Salman Khan’s Sultan had already claimed the Eid spot for itself. The months leading up to its new release date have also been fraught with obstacles. So does anything ‘go’ in business? 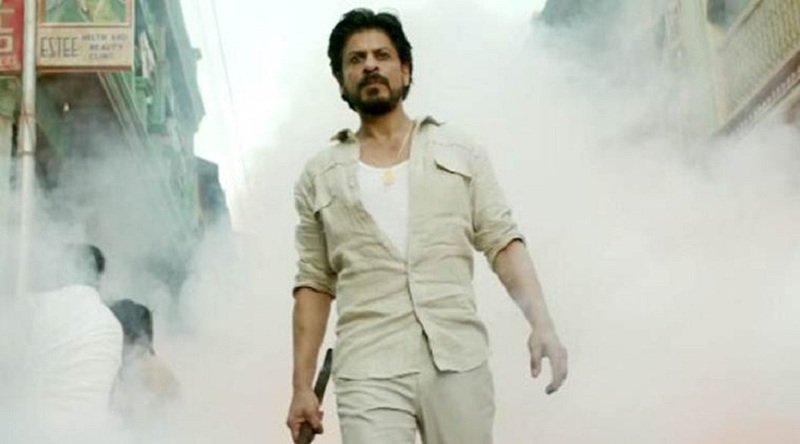 In Raees, his character announces his business philosophy: "Jo dhande ke liye sahi, woh sahi; jo dhande ke liye galat, woh galat. Isse zyada kabhi socha nahin..."
Is that what Shah Rukh has followed in his own career as well? How much of Raees Aslam is in Shah Rukh? Most films released in the aftermath of Prime Minister Narendra Modi’s demonetisation move have seen their box office prospects dimmed somewhat. However, the Raees team isn’t worried. Shah Rukh opined that the situation had eased somewhat and therefore, it was a good time for the film to release. “Things are getting better with time,” he said. “Executing the move would have taken some time; it couldn’t have happened overnight. Initially, maybe people who were affected and the ones who visit single screen theatres, made a choice and felt that entertainment or certain luxuries could take a backseat. The situation has eased a little, and another few days from now is a good time to release. We saw that with the release of Dear Zindagi, recently… The distributors gave us to understand that now there is positive sentiment to spend money on entertainment." While Raees — a period crime drama — was being made, the assumption was that it would be an off-beat/niche film. 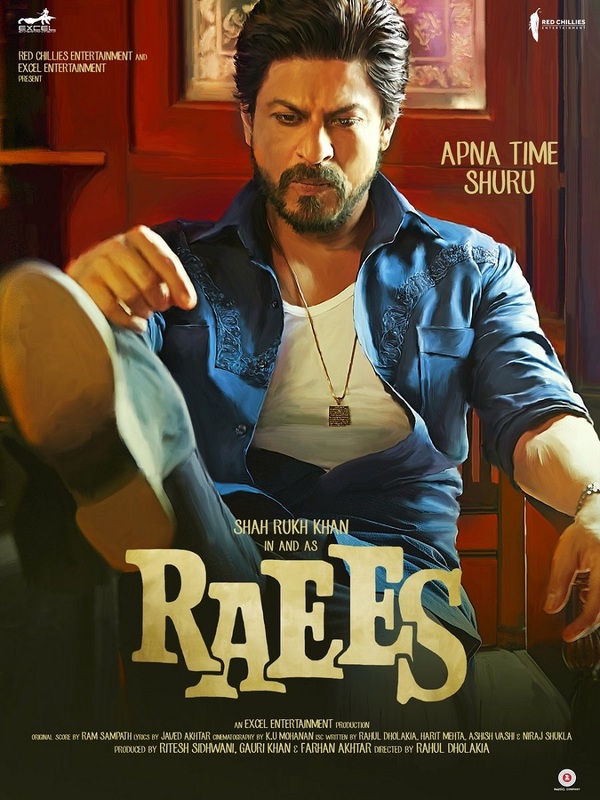 Shah Rukh himself had described the film at the time as “a fantastic offbeat film; I am a very urban actor but Rahul Dholakia could think of me in an earthy role...” However, the trailer makes evident that Raees is in fact a mass entertainer, and the makers certainly haven’t stinted on its commercial appeal. How was this balance achieved? "Rahul (Dholakia, director) didn’t want to make an over-the-top, commercial film. He wanted an interesting mix. He spoke to the producers, Ritesh (Sidhwani) and Farhan (Akhtar), and we decided to have a mix of both the worlds," explained Shah Rukh at the trailer launch on Wednesday. And do they expect any problems with the Central Board of Film Certification (CBFC) for Raees?